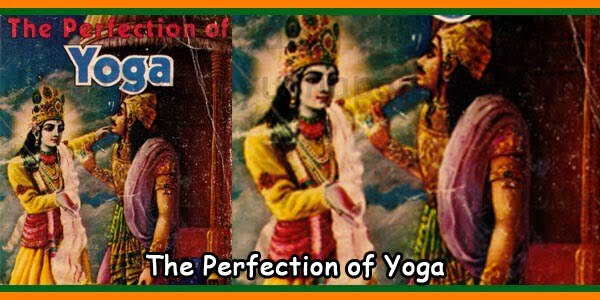 The Perfection of Yoga From Page 49 to 58. Transcendence, perish like a riven cloud, with no position in any sphere?” (Bg. 6.38) When a cloud is torn apart by the wind, it does not mend back together again. “This is my doubt O Krsna, and I ask You to dispel it completely. But for Yourself, no one is to be found who can destroy this doubt.” (Bg. 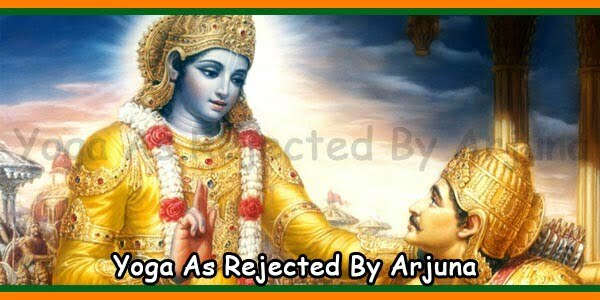 6.39) Arjuna is asking this question about the fate of the unsuccessful yogi so that in the future people would not be discouraged. By a yogi, Arjuna is referring to the hatha-yogi, jnana-yogi, and bhakti-yogi; it is not that meditation is the only form of yoga. The meditator, the philosopher and the devotee are all to be considered yogis. Arjuna is questioning for all those who are attempting to become successful transcendentalists. And how does Sri Krsna answer him? 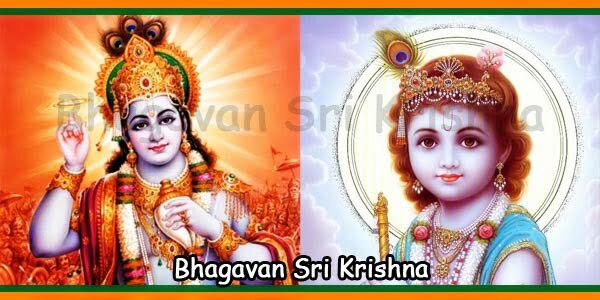 Here, as in many other places throughout the Gita, Sri Krsna is referred to as Bhagavan. This is another of the Lord’s innumerable names. Bhagavan indicates that Kr? :t;J.a is the proprietor of six opulences: He possesses all beauty, all wealth, all power, all fame, all knowledge and all renunciation. Living entities partake of these opulences in finite degrees. One may be famous in a family, in a town, in a country or on one planet, but no one is famous throughout the creation as is Sri Krsna. The leaders of the world may be famous for few years only, but Lord Sri Krsna appeared 5,000 years ago and is still being worshiped. So one who possesses all six of these opulences in completeness is considered to be God. In Bhagavad-gita Krsna speaks to Arjuna as the Supreme Personality of Godhead, and as such it is to be understood that He has complete knowledge. 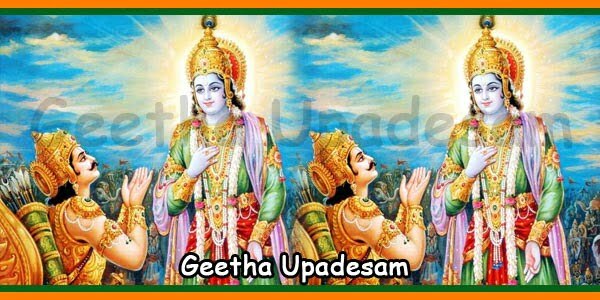 Bhagavadgita was imparted to the sun god and to Arjuna by Krsna, but nowhere is it mentioned that Bhagavadgita was imparted to Krsna. Why? Complete knowledge means that He knows everything that is to be known. This is an attribute of God alone. Being that Krsna knows everything, Arjuna is putting this question to Him about the fate of the unsuccessful yogi. There is no possibility for Arjuna to research the truth. He simply has to receive the truth from the complete source, and this is the system of disciplic succession. Krsna is complete, and the knowledge that comes from Krsna is also complete. If Arjuna receives this complete knowledge and we receive it from Arjuna as it was spoken to him, then we also receive complete knowledge. And what is this knowledge? friend, is never overcome by evil.” (Bg.6.40) Here Krsna indicates that the very striving for yoga perfection is a most auspicious attempt. 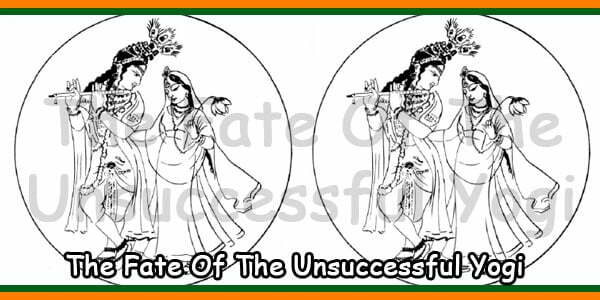 When one attempts something so auspicious, he is never degraded. energy. The material energy is trying to entrap the conditioned soul as much as possible, and when the conditioned soul tries to get out of her clutches by spiritual advancement of knowledge, material nature becomes more stringent and vigorous in her efforts to test how much the aspiring spiritualist is sincere. The material energy, or maya, will then offer more allurements. either in a very rich family or a pious one. shelter of Krsna, and if, due to his immaturity, he falls from the devotional path, still there is no loss for him. On the other hand, if a person executes his duties perfectly but does not approach God, then what does he earn? His life is indeed without benefit. But a person who has approached Krsna is better situated, even though he may fall down from the yogic platform. Being born in a family of those who execute yoga or devotional service, one remembers his spiritual activities executed in his previous life. Anyone who takes to Krsna consciousness seriously is not an ordinary person; he must have taken to the same process in his previous life. Why is this? platform, he takes that with him to his next life, and he picks up again from that point. 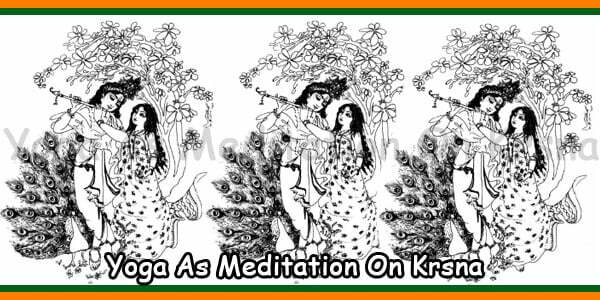 not fit for a gentleman.” Once one has approached Kr?f.la and has attempted to make spiritual progress, Krsna, who is situated within the heart, begins to give directions. In the Grtii, Sri Krsna says that for one who wants to remember Him, He gives remembrance, and for one who wants to forget Him, He allows him to forget.